Home security gives parents some much-needed peace of mind. Think of how often your home is empty – when everyone’s at school or work, when you go out for the night or away on vacation – and imagine never worrying what’s happening while you’re out. With family friendly house alarm systems, parents don’t have to wonder what's happening in their house while they're out. These set-ups are designed to provide you with all of the resources and equipment you need to safeguard your home. Most importantly, you’re not the only person invested in protecting your home. Sensors alert authorities when an alarm is triggered, but break-ins aren’t the only disasters they aim to prevent. Many include devices that tell you and authorities when a smoke detectors, a medical panic alarm and other emergencies requiring immediate attention occur. So what constitutes family friendly house alarm systems? For one, they’re easy on the wallet. After all, family-friendly and budget-friendly go hand in hand. Many vendors offer affordable systems with monthly payments so there are no hurdles in getting it implemented right away. They’ll also customize a security program to match your budget with the best services and devices available. 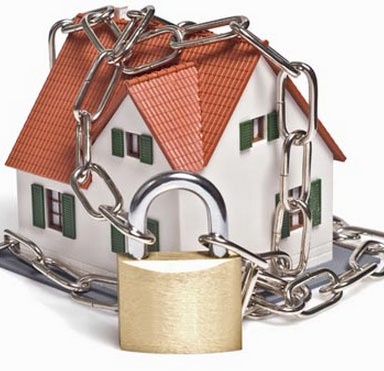 Simply letting the presence of an alarm system be known can be a powerful deterrent to would-be intruders. Busy families spend a significant amount of time out and about at sporting games, performances, practices, visiting relatives. It never ends! Having a set-up with high visibility goes a long way in keeping your home off an intruder's radar. Of course, nobody should rely on deterrents – the system actually has to be turned on to do its job! This is where some of the most important user-friendly features come in handy. Everyone who lives in the home and winds up being either last to leave or first to arrive should be able to turn things on and off. Alarms that are easy to use are also alarms that will be used every single day. That said, parents know how forgetful they and their children can be. Some days are so hectic that you always seem to be running late for something important. Odds are you’ll also either forget to turn the alarm on or question whether you turned it on or not and spend a few anxious hours wondering if your house is protected. Worry no more! Modern family friendly house alarm systems are enabled to connect to smartphones or off-site computers. This allows homeowners to log in, check the status of their alerts and turn them on as needed. With modern capabilities, you can also control other systems that are programmed into it, including lights and air conditioning. Turning on lights at night while you’re away gives the impression the home is occupied, which is also a huge deterrent to potential intruders. By doing this, you also conserve energy and reduce that electric bill. You may not be able to automate your job or parenting duties, but protecting your house is actually something that can be automated in many ways. Smart alert systems let you program certain everyday tasks like locking the doors at night or turning off the lights and other appliances. Imagine returning during a heat wave to an already cooled, home. As you can see, these home security systems were created to integrate seamlessly with a family’s hectic life. From accounting for other potential emergencies, to including features that help you save money and make life more comfortable, the aim of these systems is to safeguard the home while supporting your lifestyle.